I had been craving for some pinindot; but, these days, I do rather seem to have developed a propensity for procrastination. 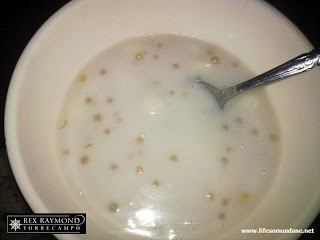 If you are not from these parts, then you will probably know the pinindot as the bilo-bilo; except that you will probably expect bits of fruits and root crops floating in it as well. Well, personally, I have always been partial to pinindot with only sticky rice balls and tapioca, a.k.a. sago. Anything else in the pot, to me, is sacrilegious. So, yesterday, I finally managed to motivate myself to visit this lady at the market who has become something of a sukî over the past few weeks. Her pinindot is not quite as I like it: it has sweet potato – camote. Because there was little in the way of choices, I finally allowed the lady to convince me to try her pinindot sans the camote. I have been going back to her place in the market for a few weeks; and have become known to her as the mamang ayaw sa camote. Unfortunately, my Mom’s sukî – who made the pinindot as I wanted it – had already passed away. This I learned from my own sukî after I described the plump lady from whom my Mom used to buy every time she went to the market. Going to the market on a Sunday morning, in hindsight, turned out to be not too bright a decision. Was it National Tricycle Day yesterday? It did appear as though every tricycle in the city was on that road leading away from the market. 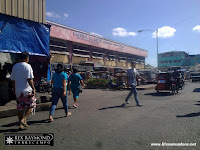 Getting from one side of the road to the other was a painfully slow affair as the tricycle drivers did not seem to have ever heard of keeping distance from each other. At any rate, after weaving through that sea of three-wheeled vehicles, I finally found myself at the kakanin section of the market. Before long, a short stocky man with a caldero arrived to stand in front of the kakanin stall. He apparently knew my sukî. There was a handaan – I naturally eavesdropped on their conversation – and he was asked to get some pinindot. There did not seem to be enough pinindot inside the large caldero on the stall for the new arrival. “Sa akin ka ga daw bibili?” the lady, eyebrows arched and looking slightly worried because she was aware that there was not enough pinindot left, asked the man. “Oo naman… Sa ‘yo lang naman ako nabili eh!” the man retorted. I looked around. The man had a point. Nobody else was selling pinindot. 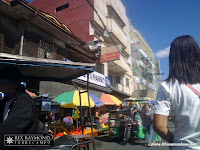 “Ay bakit hindî ka nagpasabi?” the lady shot back, if with a smile. Before long the two agreed on the sale. Either the lady had another caldero hidden under the stall or she was going home to cook more. “Hihilingan mo raw ng tu-tong ha! Biling-bilin sa akin ‘yan!” Tu-tong is a kakanin made of sticky rice cooked in coconut oil with roasted pellets of monggo. Now the lady looked worried. “Ha?” She caught my eye and we grinned at each other. My eyes were gleaming from the humour of the situation; and, indeed, I was just short of bursting out laughing. Hay naku! 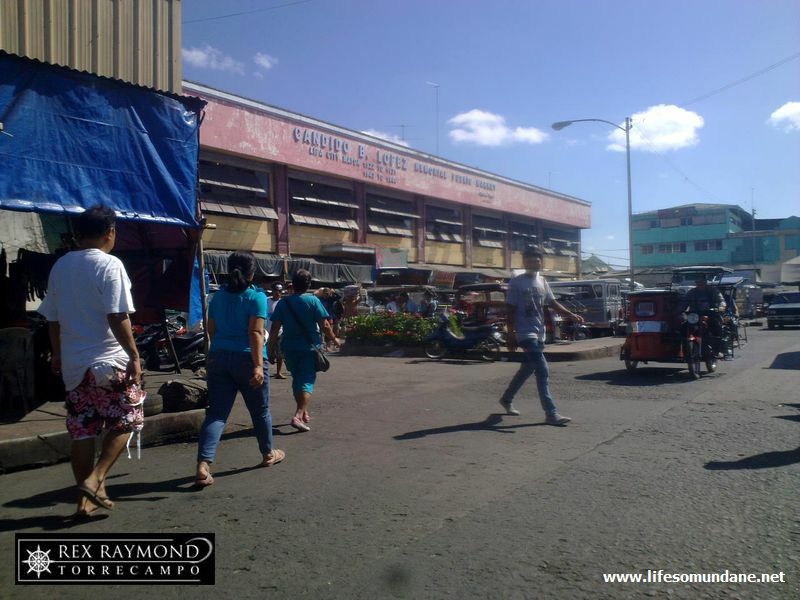 Batangueños! I thought to myself, totally amused. Finally, the other man finished scooping my pinindot into the little plastic bags. Before leaving, I gave the woman a knowing looking to sort of wish her good luck with her insistent customer. That is what she gets for selling really good pinindot. As for me, I did not need servings of tu-tong to make my day. The pinindot was more than enough.